Strong Battery Demand Leading the Way for Lithium Exploration Companies – Rock Tech Lithium Inc.
With companies around the world competing to become the top electric car manufacturer in the world, it’s no wonder that lithium is a hot commodity. Used in modern batteries and electronics, as well as many other industries, lithium has seen significant interest from investors over the past 2 years. Rock Tech Lithium Inc. (TSXV:RCK) is one lithium explorer that’s making headway with promising projects in Canada and Mexico. The company has now begun work on a Preliminary Economic Assessment for its Georgia Lake project in Ontario. 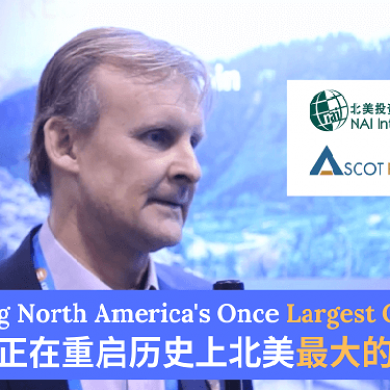 Let’s see what Martin Stephan, CEO of Rock Tech Lithium Inc. has to say about their lithium projects and why investors should pay attention to this lithium explorer. 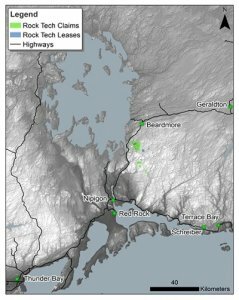 Can you give us a brief introduction of Rock Tech’s history and how the company survived the major downturn of 2012 when many other exploration mining companies went into dormancy? What made Rock Tech different compared to those companies that didn’t make it through the mining downturn? 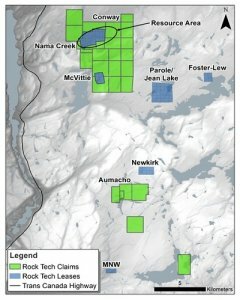 Rock Tech Lithium survived the downturn for two main reasons: we have real lithium resources at Georgia Lake and we have committed cornerstone investors that share our long-term bullish view on lithium demand and pricing. Due to the high level of investments we have made in our Georgia Lake project, our lithium resource is covered by long-life mining leases rather than mineral claims that require renewal and assessment reporting every two years, drastically lowering carrying costs. These low carrying costs were a tremendous advantage during the downturn as they provided maximum flexibility. The overwhelming majority of Rock Tech’s shares are owned and held by management and cornerstone shareholders comprised of family offices and high-net worth individuals predominantly in Europe. We have made great efforts to find shareholders that, in general, have a long-term investing horizon and the strength to remain committed through changing market cycles. It goes without saying that participants in our private placements must also share our long-term view on the lithium sector. Miners must be able to survive several market cycles to successfully advance projects from discovery to production and I’ll let the fact that we are still here speak for itself. One key aspect of a successful mining company is their leadership team, and Rock Tech has made impressive additions to its advisory board. Can you let the readers know who they are and how they have helped grow the company? Prof. Heinz Riesenhuber served as a Member of the German Parliament and has a management background in mining, specialty chemicals and commodity trading. Carl-Peter Forster has extensive automotive industry experience as the former head of global manufacturing for BMW, Managing Director of Opel, Vice President and CEO of General Motors Europe, and Group CEO of Tata Motors responsible for Jaguar and Land Rover. Mr. Forster is also on the boards of Geely Automotive and Volvo Cars and is the Chairman of London Taxi Company. Norbert Steiner is the former CEO of K+S Aktiengesellschaft, the largest mining company in Germany and oversaw the Company’s development into the leading salt producer globally. Jens Gutzmer is the Founding Director of Helmholtz Institute Freiberg for Resource Technology and is a Professor of Economic Geology and Petrology at Technical University Freiberg, Germany. Having individuals of this calibre join our team speaks to the prospects for the lithium industry moving forward as electrification of the transportation energy and the energy storage markets take centre stage. This group has helped tremendously by assisting with strategy development, understanding the trends in the automotive sector and analyzing the potential of our flagship asset and other acquisition targets. We’ve seen continuous progress and news flow from Rock Tech over the past years despite maintaining discipline in its expenditures. How has Rock Tech been able to continuously make progress through the years without having to raise excessive capital through equity financings? We follow the simple axiom of share price maximization. There are myriad examples of junior mining companies that manage to increase their market capitalizations, sometimes quite markedly, yet the share price declines or, at best, trends sideways. We understand the difference between maximizing share price and maximizing market capitalization. We are an exploration company so we do rely on the issuance of equity to fund acquisitions and development. 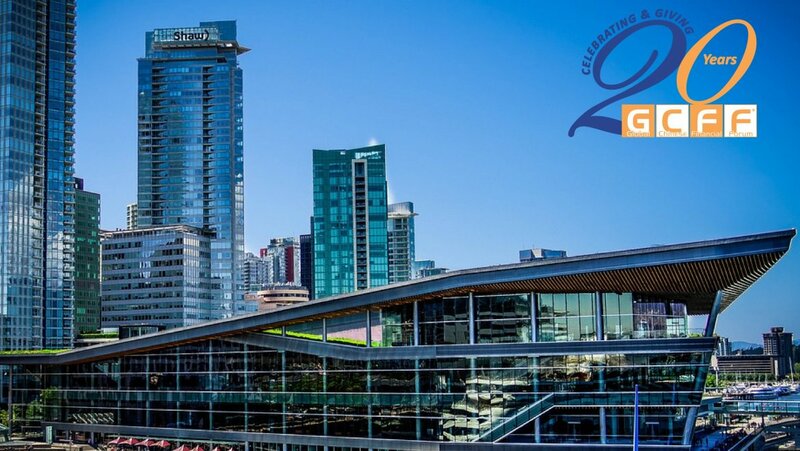 As I mentioned previously, approximately 70% of our shares are held by management and cornerstone shareholders that are committed to the long-term. What this means in practice is that we have a very low “float” and successful investments have a greater probability of leading to a higher share price as there is very little resistance in our market on the way up. Our last capital raises were two modest private placements in July and December 2016 at $0.30 and $0.90, respectively. With the funds raised, along with cash injections from the exercise of stock options and share purchase warrants, we have made solid investments in our Georgia Lake lithium property. In just the past 18 months we have completed trenching, drilling and prospecting that resulted in the discovery of new lithium-bearing pegmatites that clearly show the upside expansion potential at the property. 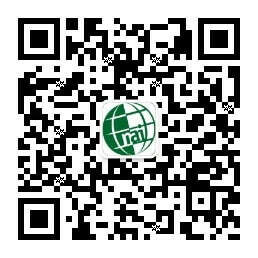 Inferred Resources: 6.72 million tonnes @ 1.16% Li2O. We have also started the first-ever Preliminary Economic Assessment based on the updated resource estimate. Additionally, we will be running soil, rock and enzyme leach programs over the property to find additional exploration and drill targets for further lithium resource expansion. Exciting times ahead with strong news flow from the Georgia Lake lithium project. Rock Tech has moved to acquire the El Nogalito lithium project in Sonora, Mexico this year. How does this project help to bring value to Rock Tech’s shareholders? As mentioned earlier, we are long-term bullish on the fundamentals of the lithium market. Hard rock assets, with their tendency to be quicker to ramp up, will play a key role in near-term supply. Over the long-term, it will be critical for lithium suppliers to be as low on the cost curve as possible. 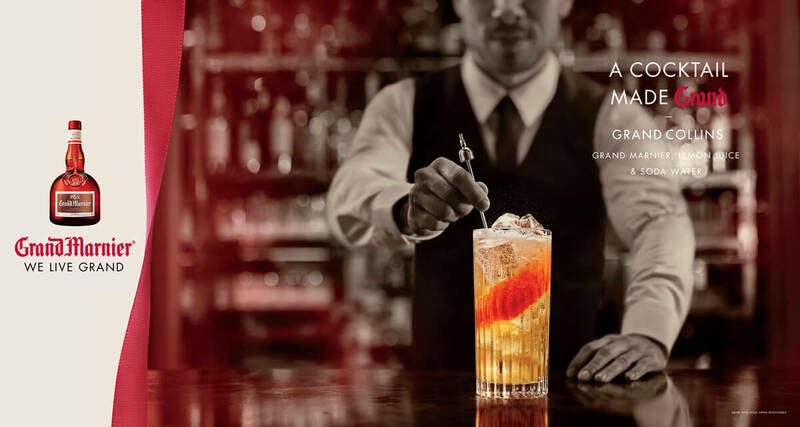 While hard rock assets tend to have shorter lead times, brine projects tend to have lower operating expenses and cost profiles, not always, but on average. Accordingly, we have been conducting due diligence on a number of non-hard rock lithium targets in addition to El Nogalito and expect to have more than one additional acquisition closed by the end of the fiscal year. We have very strong prospecting partners in Mexico who brought the El Nogalito property to our attention. Back in the 1990’s, US Borax was exploring the property and reported lithium values up to 1,166 ppm. For a frame of reference, the Salar de Atacama in Chile averages 1,840 ppm while the well-known Argentinian producing salars range from approximately 590 ppm to 740 ppm. US Borax wasn’t searching for lithium as the lithium-ion battery was in its infancy at that time, so they abandoned the claims. When our prospecting partners brought the property to our attention, we collected several samples to check the historic work and were able to confirm the presence of lithium anomalies on the surface. We were able to strike a deal with the landowners for a very affordable entry into the property and we felt the risk/reward balance was appropriate and attractive for our shareholders. Future work on the property will include additional sampling and geophysics to gain a greater understanding of the basin. What other types of projects are in Rock Tech’s targets? 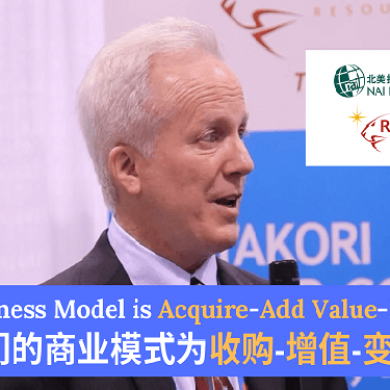 What criteria are you looking at for future acquisitions? First and foremost, we look for an attractive risk/reward profile. Many projects offered to us, particularly in South America, have very high entrance costs with minimal to no work completed. We don’t feel that these are appropriate for our shareholders. We tend towards emerging lithium regions where we have strong local partners with a sophisticated understanding of local geology and local communities that provide the social license to operate. We believe this gives us an edge in terms of making new lithium discoveries that will provide significant returns for our shareholders over the long-term. Canaccord’s recent April, 2018 “Specialty Minerals and Metals” report speculates that a possible shortfall in the supply of concentrates could have a positive impact on spodumene concentrate prices. How will this impact Rock Tech’s value? This is a very important point that I’m glad you brought up. Due to new direct shipping ore (“DSO”) and spodumene concentrate production out of Australia, some market commentators have postulated that prices of the feedstock could collapse. Their thesis relies to an extent on the lack of conversion capacity in China and other places, which take the feedstock and convert it into the lithium chemicals needed for batteries, acting as a bottleneck in the supply chain. However, there is a significant trend towards downstream integration by existing and emerging hard rock lithium producers meaning that miners are trying to also become converters. This creates significant competition for spodumene concentrate, which we have at Georgia Lake, between integrated miner/converters and independent converters that need the material to convert into battery-grade lithium carbonate or lithium hydroxide. We are witnessing this increased competition first-hand in our discussions with independent converters in China and elsewhere. There is a shortage of uncontracted lithium feedstock material that we believe will persist. This will create significant demand for this material and be supportive of higher prices. We have already completed metallurgical testing on our material at Georgia Lake and successfully produced both a high-grade spodumene concentrate and battery-grade lithium carbonate. What are some upcoming milestones investors can look forward to in the near future? We just released an updated resource estimate for our Georgia Lake lithium project where we increased overall lithium resources and delineated the first-ever “measured” resources at the property. We have begun the first-ever Preliminary Economic Assessment and expect to have this available for the public towards the end of Q3 or beginning of Q4 of this year. 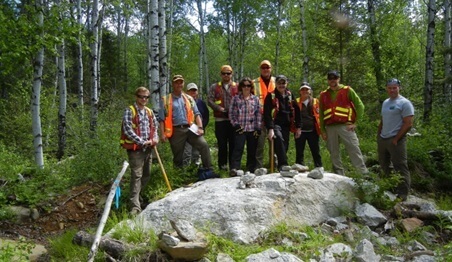 We are also busy running enhanced prospecting programs at Georgia Lake to develop additional exploration and drilling targets and grow the property further. We expect to complete sampling and geophysics at El Nogalito later this year and early next year and expect to make more announcements regarding acquisitions this calendar year. 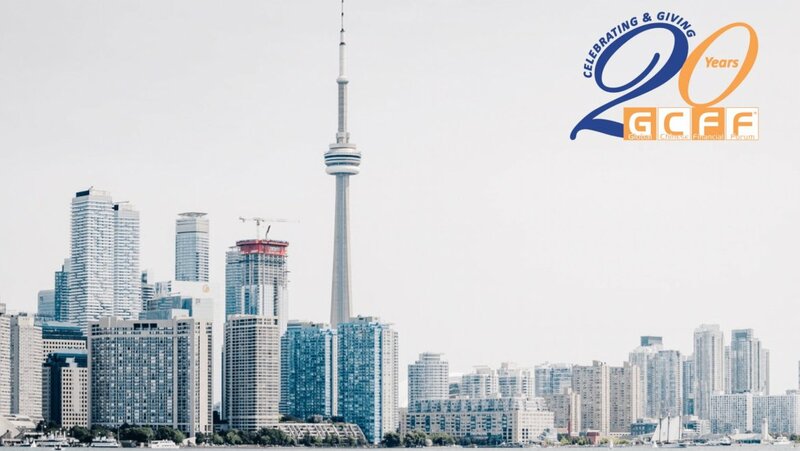 It’s an exciting time to be in the lithium industry and we firmly believe we are well-positioned to deliver value to shareholders during the upcoming revolution in the transportation and electricity markets. And make no mistake about it, we truly are on the cusp of a revolution! We would like to thank Martin Stephan, CEO of Rock Tech Lithium Inc. for taking the time to do this interview. 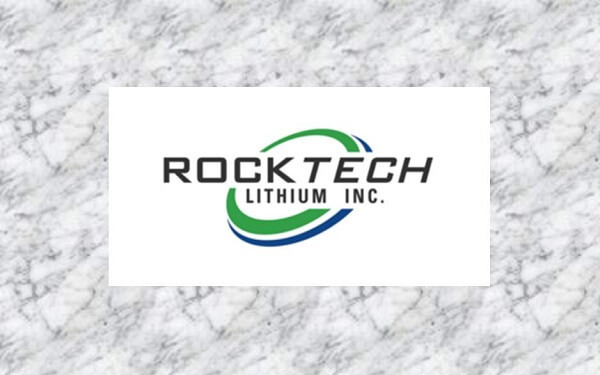 For more information about Rock Tech Lithium Inc., visit their NAI500 Profile. For more information about the lithium industry, visit NAI500 for more related articles. Disclaimer: NAI is being compensated for this article. Materials contained in this article are for information purposes only and is not intended to constitute an offering of securities in any jurisdiction. Nothing on this article should be construed as an offer, solicitation or recommendation to buy or sell products or securities. 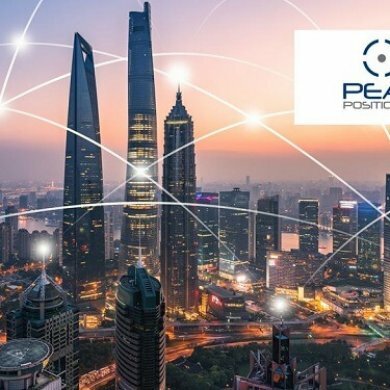 Canadian Fintech Looking to Impact Commercial Lending in China – Interview with Johnson Joseph, CEO of Peak Positioning Technologies Inc.